Thomas K. Bauer is Professor of Empirical Economic Research at the Ruhr-Universität Bochum, Germany. He studied economics at the Ludwig-Maximilians-Universität München, Germany and was awarded a doctorate for his dissertation on the labor market effects of immigration and migration policy in Germany. Afterwards he continued his research at Rutgers University, USA, as part of a Feodor-Lynen-Fellowship of the Alexander von Humboldt Foundation. In 1999 he became Program Director for the research area “Mobility and Flexibility of Labor” at the Institute for the Study of Labor (IZA) in Bonn, Germany. During the work at IZA he habilitated at the University of Bonn, Germany. 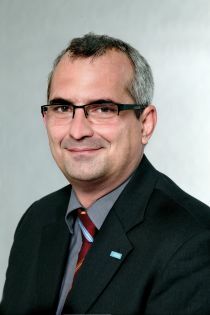 Thomas K. Bauer is Vice President of the RWI - Leibniz Institute for Economic Research, where he has been Member of the Executive Board since 2004. Further he acts as a Research Fellow of IZA, of the Centre for Economic Policy Research (CEPR) in London, as well as for the Center for Comparative Immigration Studies (CCIS) at the University of California, San Diego, USA. In 2011 he was appointed Member of the Expert Council of German Foundations on Integration and Migration, since September 2016 he is Chairman of the Council. He published numerous articles in journals such as the European Economic Review and the Economic Journal. His research interests include empirical economic research, applied microeconometrics, migration, labor economics and education economics.